Although this blog is mainly about Ampache I am taking this opportunity to let the community know about a recent piece of software that I have discovered and packaged for Debian/Ubuntu. I would like to announce the availability of OpenTeacher in Precise, Oneiric-backports and Debian Wheezy. So what is OpenTeacher you ask. Well it is an easy way to learn a foreign language. You feed it word lists (which you can find online), then choose one of three learning modes, ie think answer, shuffle answer, repeat answer. These modes determine how Openteacher will test you. Once the test is complete OpenTeacher will rate you on your performance. 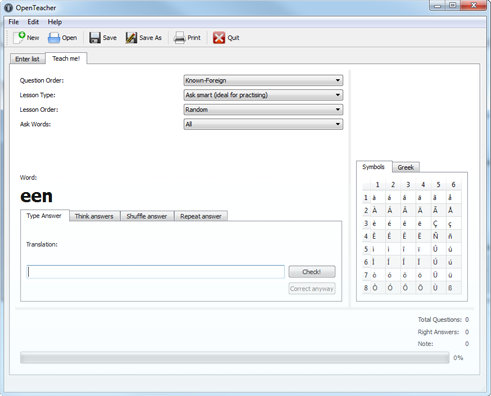 Openteacher is in heavy development right now. If you would like to see where the development team is going with OpenTeacher have a look at their launchpad blueprints or if you would like to get involved have a look at their launchpad project page. In other news thanks to Adam Cecile, I have become the co-maintainer of Picard in Debian. The packaging for Picard has now moved to the Python Application Packaging Teams svn repo and Picard-0.16-1 has landed in unstable. Once Picard migrates to testing we will sync it over to Ubuntu, giving everyone a fresh new version to play with. With the coming release of Natty I would like to share with fellow Ampache users some neat changes that will be available in Natty. Now open your favorite web browser and point it to your Ampache installation usually http://localhost/ampache will do the trick. Follow the web installer instructions to complete the installation. As we all know Banshee will be the default media player in Natty. There is an extension you can install that will allow you to access your Ampache server with Banshee. Click the check box and highlight ampache. Now go to the “Source Specific” tab and click on the “Source” drop down menu and select “Ampache”. This will take you back to the main Banshee user interface. Now under the “Online Media” section click on “Ampache”. This part of the process may take a while depending on the size of your music collection. As you can tell from the screenshot you now have Sound Indicator integration which I think is pretty cool. Click on the check box, and then click on the little wrench. This will bring up the “Add Server” dialog box. Now you need to click on the “Add Server” button in the top left portion of the dialog box. This will bring up yet another dialog box for you to put your server information in. 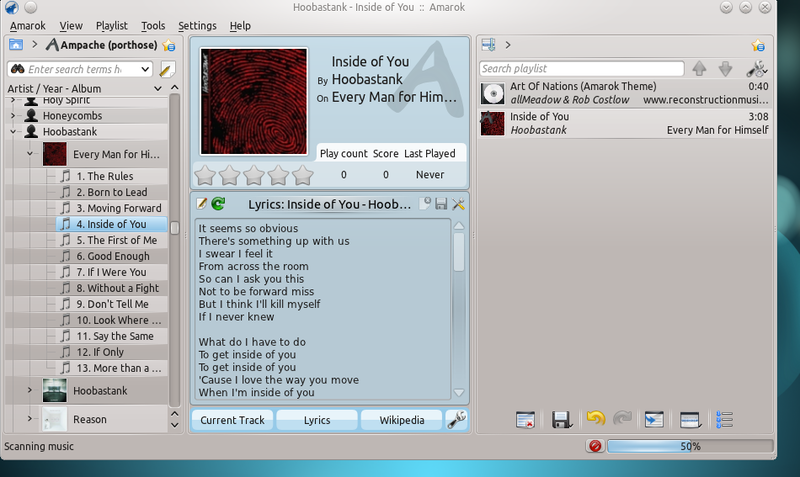 After clicking “Ok” several times this should take you back to Amarok’s main user interface. 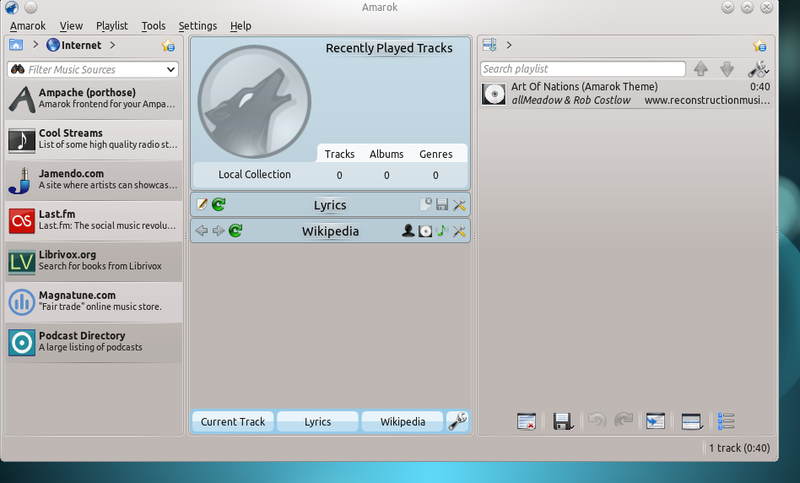 Now you need to click on the “Internet” section in the left menu of Amarok. 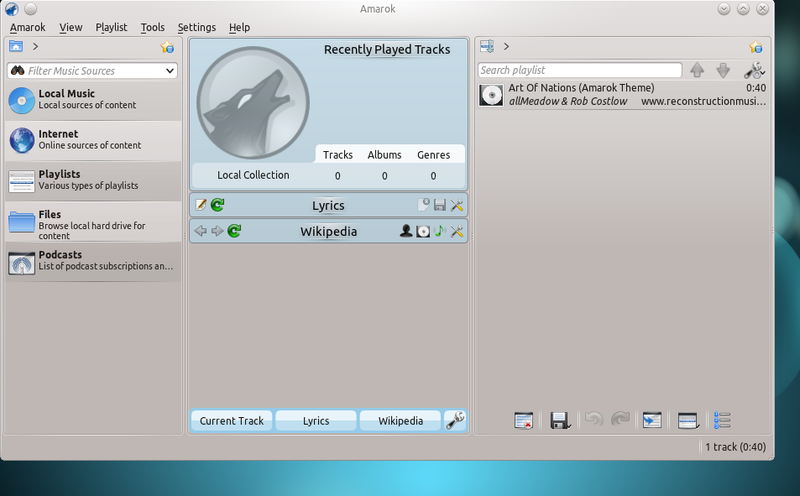 Amarok will now connect to your server and index your music, this may take a while depending on the size of your music collection. Once it is finished installing launch Viridian. It will bring up a dialog box for you to put your server information in. Once you enter your server information and click the save button Viridian will connect to your Ampache server and start indexing your music collection so again this may take a bit. Start making a playlist and enjoy. There will be some exciting changes coming to Ampache in Natty. Ampache has a new front-end called Viridian. 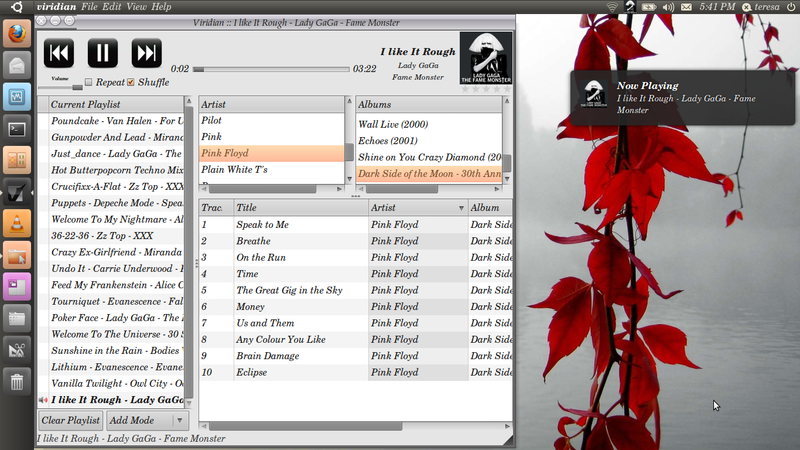 Viridian is a light weight player written in python that uses gstreamer for playback, making it capable of playing a wide variety of audio formats. What I like most is that Viridian is simple, and it’s integration into Gnome and Unity. This first screenshot shows Viridain on Unity, connected to my ampache server, with a playlist loaded, and changing songs. Viridian will get out of your way and allows you to be doing other things while enjoying your music. Note the album art in the notification area close to the clock. 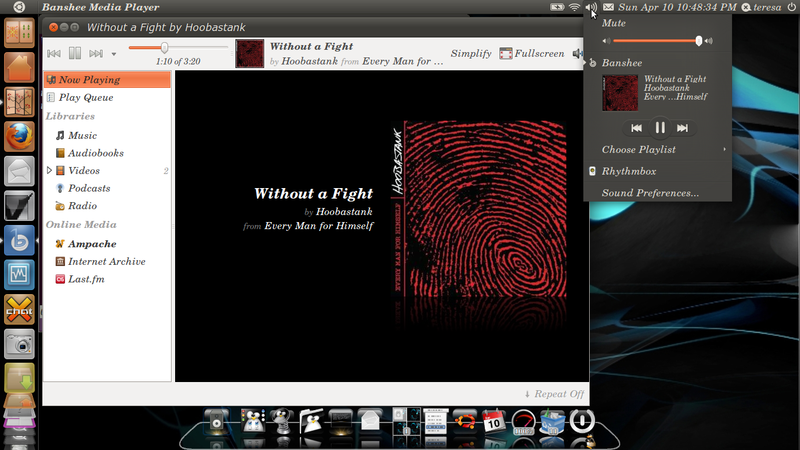 If you right click on the album art, controls will drop down in a nice menu. To use Viridian you will need to have Ampache setup with a user account configured. To setup Viridian you will need to know the server address, username and password, which Vridian will prompt you for the first time you launch it. I’m also pleased to announce that in the next release of banshee there will be a new banshee-ampache-extension, This extension will allow you to access your Ampache server directly through banshee. John Moore has been the driving force behind this extension and we thank him for his efforts. I have also just recently been made aware of the rb-ampache plugin project, which is developing a Rhythmbox plugin for ampache. 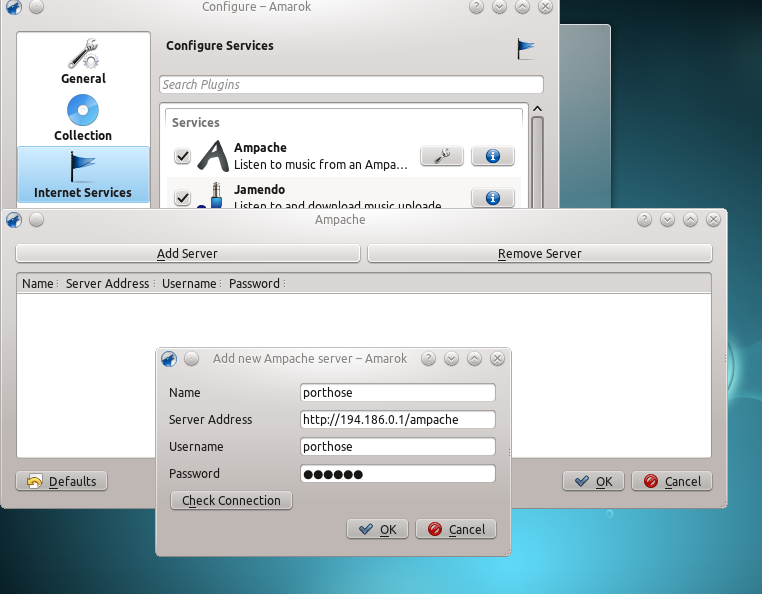 This plugin will also allow you to access your ampache server directly through Rhythmbox. I have just made contact with Graham Grindlay the upstream author and will start working on getting this into Natty as soon as it is ready. With the Natty release Ampache will play nice with Amarok, Banshee, Rhythmbox, VLC, Viridian, Android, Palm Pre, iPhone, Blackberry, Icecast, MPD, Coherence, and more. Now that’s what I call flexible. To all my fellow veterans I would like to say thank you for your service. If you cannot lease a constructive comment on my blog please stay off it. I would also like to take this opportunity to remind the Ubuntu One Hackers Team to please reread the Ubuntu Code Of Conduct and follow it. “For non-commercial use the JW Player 5 for Flash is licensed as open source software under a non-commercial variation of the Create Commons License. We encourage developers to download and modify the source as required. Now if you or any of your team would like to help me in packaging Subsonic for Debian/Ubuntu users please contact me at cjsmo@ubuntu.com. I have already filed and ITP bug in the Debian BTS. So what’s the big deal? 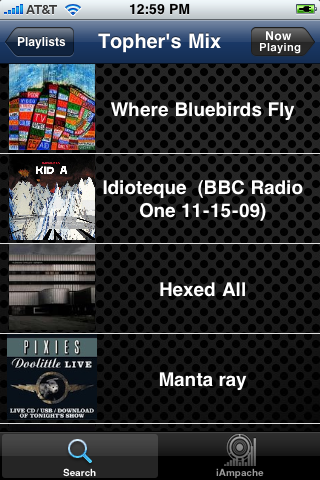 Ampache has been able to stream music to the android phone since the release of Karmic! There are also two lightweight players for Ampache Quickplay, and Viridian-player. The Viridian-player will hit the archives as soon as the upstream developer finishes the logo. It is really easy to add your $HOME/Ubuntu One folder to your Ampache instance. 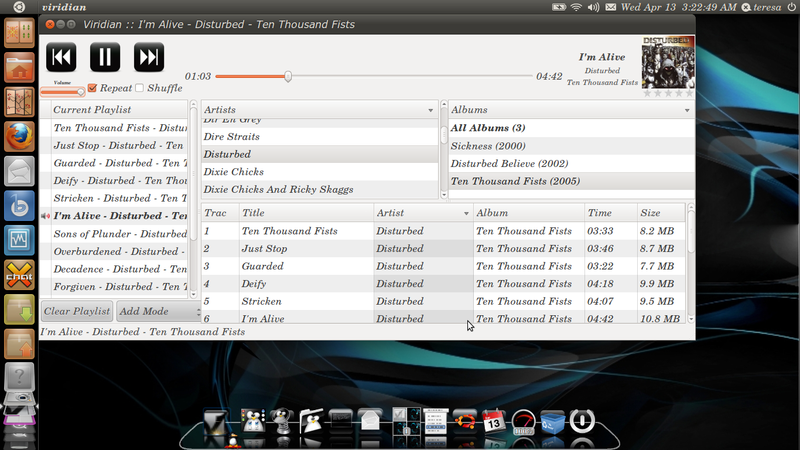 From the web UI go to Admin ->Add a Catalog and provide the path to your Ubuntu One music folder, then click create catalog. Done. Ubuntu, Chelsea School, and the use of FOSS in education. Planet. To my suprise this is no ordinary school project. We offer television and music production, graphic design and animation, and ISM. hardware, troubleshoot and configure machines with hardware problems, etc. solely in an XP VM. and configure the necessary software. appliances as Ampache matures – even after they’ve left Chelsea School. reactions to the Free Software movement and forward you what I’ve learned. A+ core objectives using Linux, or moving completely to an Linux+ or LPI model. Our two hardware students are both asking us to create a third year ISM course. internship where he can put his skills to use. 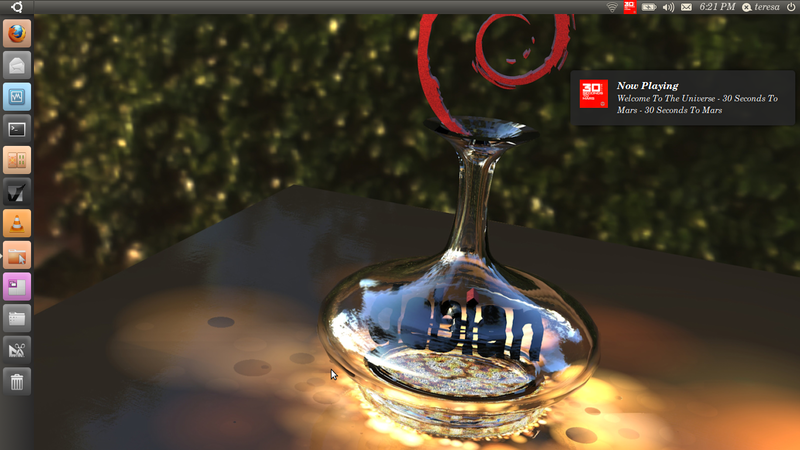 running Ubuntu 9.10 as a virtual machine at home. an avid gamer. He is eager to start a career in game design. My career has predominantly been as an English professor and English teacher. expenditures resulting from vendor lock in. in whatever we can package for distribution to other schools. ISM Students Respond to RMS’ free software definition. everyone the same opportunity to use the same software and to have a voice. There is now an ampache application available on 3 of the major smart phones, droid, palm pre and now iphone. Thanks to Bespin Corp there is now iampache for your iphone. iampache is available free from the iphone apps store. I personally do not have an iphone so I have not had an opportunity to see the app in action, but I hear it works very well. There are some exciting things happening in the Ampache community. First there was Quickplay, a light weight frontend/player which uses Ampaches XML API to connect to your Ampache server. 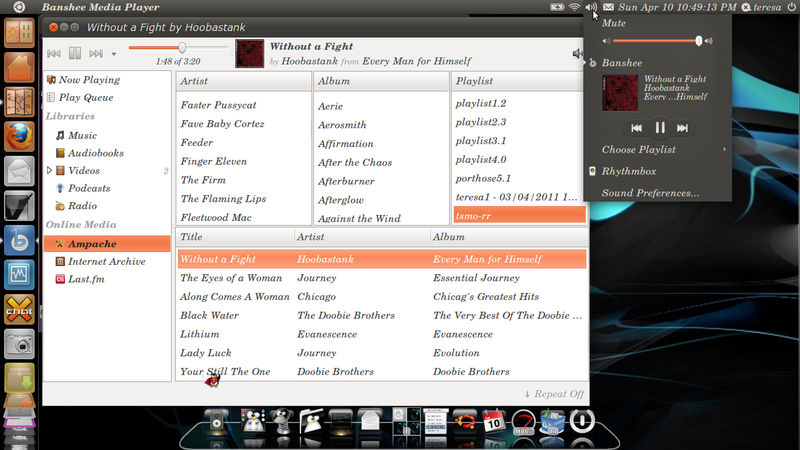 Quickplay has recently been accepted into Ubuntu Karmic and Debian Squeeze. Quickplay was then ported as Amdroid for the Verison G1 phone, and has since been receiving some third party modifications . Hopefully these will be integrated by upstream soon. So your asking “where is the iphone version” of Quickplay. There was an effort to port Quickplay to the iphone, but sadly this project has been abandoned. If someone in the community would like to pick up the project and continue, you can find the code here. Finally found some time to do some blogging. It’s been a busy time as I have had new releases of Ampache, Ampache-themes, UPnP-inspector, and Coherence coming out at about the same time so not much time for blogging.. I have also switched Quickplay and UPnP-Inspector to debhelper 7 and python-support, joined PAPT and uploaded them to alioth.debian.org for sponsorship. Give them an API and they will come… Robert (Flemming) just announced a plugin for directly interfacing Ampache with SqueezeCenter. He’s also found and helped fix numerous bugs in the API, so an all around good guy. You can find his original announcements on the ampache forums and the slimedevices forums. The plugin itself is located at code.google.com/p/ampache/squeezecenter for those too lazy to click through to his announcements. Remove any previous version of the plugin from the SqueezeCenter Plugins directory. Download the latest version of the plugin from the Downloads page. Unzip the plugin into the Plugins directory.